Phonographic Copyright (p) – MusicBank (Hungary) Ltd. Copyright (c) – MusicBank (Hungary) Ltd. Published By – MusicBank (Hungary) Ltd. This album was released in 1993 and marked "MKB 0002" by Magyar Külkereskedelmi Bank (Hungarian Foreign Trade Bank) labeled here as MKB (Hungary) Ltd. "MKB 0001" was a CD by MKB (Hungary) Ltd., the same Bank, featuring classical performances by Franz Liszt Chamber Orchestra - Liszt Ferenc Kamarazenekar and various internationally renowned soloists. 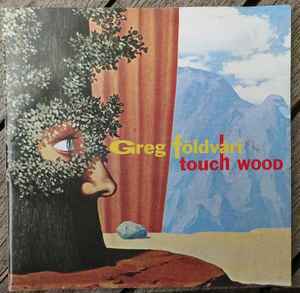 The album "Touch Wood" by Greg Földvári ( a.k.a. Grego , Földvári Gergely ) was recorded between 22 July and 3 August 1993 at Tom-Tom Studio, Budapest, Hungary. Szűcs Tibor, aka Tibor Szűcs (Tibor Szücs or Tibor Szucs) is a guitar player living in Germany. Lázi Szabolcs, or Szabolcs Lázi (a.k.a. Szabolcs Lazi) is a harmonica virtuoso, a student of Toots Thielemans.